Innes trains with the Royal Ballet! We are delighted that Innes, 5JB, has been offered a place on the Royal Ballet Junior Associates scheme, with lessons commencing in September. 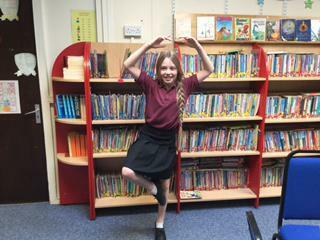 She will attend the Bath regional centre, with lessons fortnightly on a Saturday run by Royal Ballet School staff. Very exciting news and we are very proud of her.